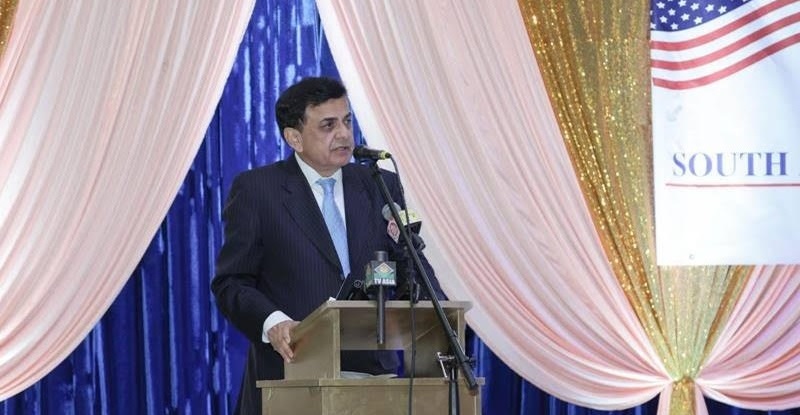 The South Asian Republican Coalition, popularly known as SARC, kicked off its formation with a rally/dinner at the Royal Albert’s Palace in Edison on December 29th. Several hundreds of people from Republican Party and from South Asian Communities were in attendance. The purpose of this SARC is to bring South Asian Americans, (from India, Pakistan, Sri Lanka, Bangladesh, Maldives, Afghanistan, Bhutan, Nepal and other countries together on one platform for strong voice, to create awareness among South Asian Americans to actively participate in main stream American's political life and to believe in core values and principles of Republican Party and to support and promote it. SARC was founded by Mr. Hemant Bhatt in March, 2018 who is Businessman, Political operative, Activist and also Founder and President of TrumpMyPresident.com, Director, Immigration Relations, America Winning Coalition, Founder, President and CEO of fearmanagement.org and the Managing Director of Quick Insurance Agency. Mr. Pinakin Pathak very excitedly cheered the gathering and laid down the mission and objectives of SARC. He further appealed audience to promote Republican Party's agenda, and to revitalize the interests in politics by actively engaging individuals, organizations and the media in pursuit of bringing the solutions to economic, racial and social justice issues.He also encouraged the members of the audience to visit SARC's web site and make free registration as members of the SARC to strengthen its movement. Sridhar Chillara, while thanking the invited distinguished guests and members of the audience to come out on a day falling in peak Holidays to attend the SARC launch, invited all sections of the South Asian Communities nationwide to join SARC for better future. He also laid down the goals & talked about the importance of SARC for South Asian communities. He thanked everyone who supported to make this event happen which was a great grand success. Mr. Pinakin Pathak who is a proven and renowned businessman, community leader and philanthropist and Mr. Sridhar Chillara who is profound businessman, a well known media personality, community leader, Founder and CEO of Mana TV, Mana TV International, TV5 International have joined hands with Hemant Bhatt in December, 2018 as Co-Founders of SARC to achieve SARC'S Mission and Goals and Objectives. Sanjiv Pandya, a well known media personality and a community leader very marvelously conducted the entire event to its end and filled the event gaps with nice commentary about his political insight in current environment prevailing in our country.